Wallace Robinson MacAskill, professional photographer, was born 1887 at St. Peters, Cape Breton County, N.S., the third son of Angus and Mary (Cunningham) MacAskill. He graduated from the Wade School of Photography in New York in 1907 and opened photographic studios in St. Peters and then Glace Bay before moving to Halifax in 1915. There, he worked for official military photographer W.G. MacLaughlan, and as a printer at Elite Studios from 1916 to 1919. Between 1920 and 1929 he was a photographer with Commercial Photo Service. In 1926, MacAskill married fellow commercial photographer Elva Abriel. In 1929, the Bluenose stamp based on his photograph was issued, and he opened a business under his own name on Barrington Street in Halifax. He became internationally known as a marine photographer and his photographs were used extensively for advertising by the Nova Scotia government. MacAskill published two books, Out of Halifax (1937) and Lure of the Sea (1951). A number of his photographs were also published in Schooner Bluenose by Andrew Merkel (1948). 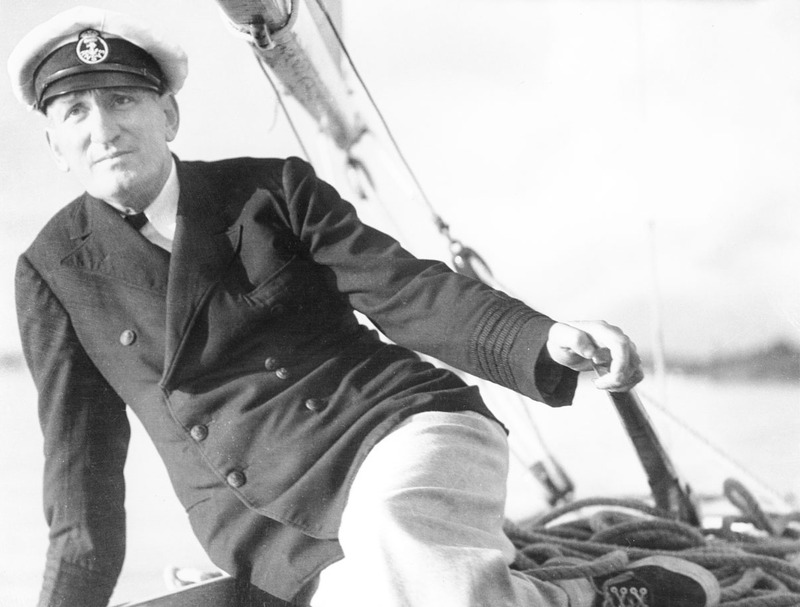 MacAskill was the recipient of numerous awards for his achievements in both photography and yachting, including the Royal Nova Scotia Yacht Squadron's Prince of Wales Cup (1932-1934, 1938), Thunderbird Crest Award for marine photography, and fellowship from the Photographers Society of America. He died at his home, "Brigadoon", in Ferguson Cove on 25 January 1956. Elva MacAskill sold her husband's business and his negatives to Halifax photographer Maurice Crosby in 1964, who in turn, sold them to Maritime Supplies & Exchange Ltd. in 1970. While in the custody of Maritime Supplies & Exchange Ltd., in 1984, the marketing company National Art Ltd. was given exclusive rights to use the MacAskill negatives to produce, sell, and distribute prints. The agreement expired in 1986 and in 1987, the negatives were donated to the Public Archives of Nova Scotia by Adare Developments Ltd., successor company of Martime Supplies and Exchange Ltd. Film reels produced by MacAskill were also donated to the archives by Maurice Crosby in 1986. In 1997, the archives purchased additional MacAskill photographs. Fonds consists of negatives, prints, and slides taken by W.R. MacAskill, primarily when he was a commercial photographer in Halifax. Includes images of coastal villages, fishing scenes, seascapes, towns and landscapes, the International Fishing Schooner Races, 1920-1937, the Bluenose under construction, naval vessels, freighters and other ships, and yachting. The geographic area represented in the photographs is almost exclusively Nova Scotia but also includes New Brunswick and Newfoundland. Many of the photographs appear in MacAskill's books Out of Halifax and Lure of the Sea and his studio catalogues, as well as in Andrew Merkel's book Schooner Bluenose. The fonds also contains photographs produced at his studios at St. Peter's and Glace Bay, most of which are portraits; personal photographs of MacAskill, his wife, friends and acquaintances, his yacht Highlander, and his home "Brigadoon" in Ferguson Cove; and a small number of photographs taken by other professional photographers including Norman and Climo. Also includes film footage taken by MacAskill of the 1938 schooner race between Bluenose and Gertrude L. Thebaud, and a Nova Scotia tourism film. MacAskill's original arrangement and most of his numbering system have been lost, due to the destruction of the negative envelopes bearing these numbers. Many of his negatives were re-numbered according to a new system created by the successive owner, Maurice Crosby. National Art Ltd. imposed their numbering over Crosby's which, for the sake of its completeness, the archives has retained as its system of arrangement and numbering. Copy prints [ca. 4000] of original negatives are available. Videocassette viewing copies of the original film reels also available. Photographs should be credited to both W.R. MacAskill and Nova Scotia Archives. Online inventory of 4599 images available. Item level inventory accompanied by photocopies of photographs in numerical order available for first accession of negatives (1987-453). Includes: 5631 negatives, 1867 prints, 60 slides, and 3 film reels (ca. 45 min. ): col., si.